PAIR FOR ADOPTION: Beanie and her brother, Punkin', have been returned due to allergies. 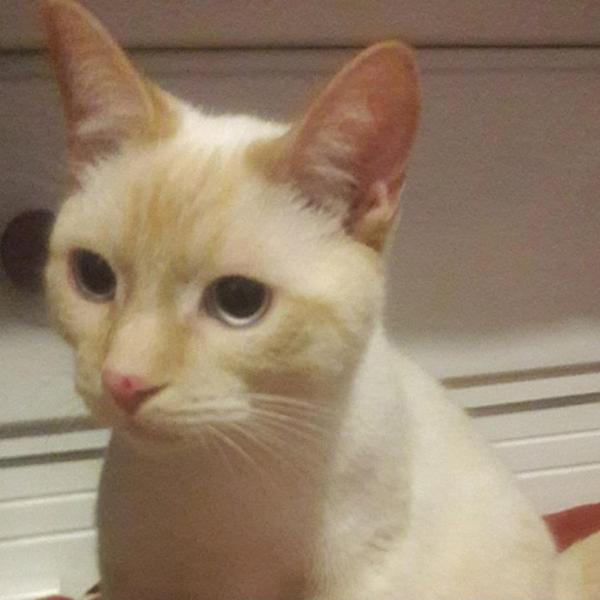 Punkin' is a flame point Siamese and his sister is his devoted, tortie, handmaiden, giving him bathes and hugs whether he wants them or not. She's the boss so she decides what is best for him. Beanie and Punkin' are definitely bonded because if they don't get adopted together, who would she fuss over? If you're interested in adopting this little guy, please click below to fill out our adoption questionnaire.